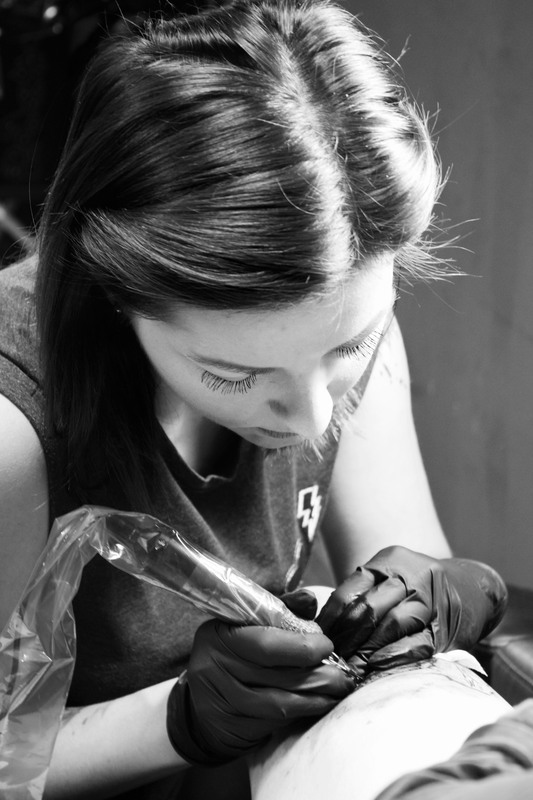 For my final project [in Documentary Photography class], I decided to focus on tattoo artists and people getting tattoos. Senior year of high school, I took AP photography and this was the theme of my final portfolio. 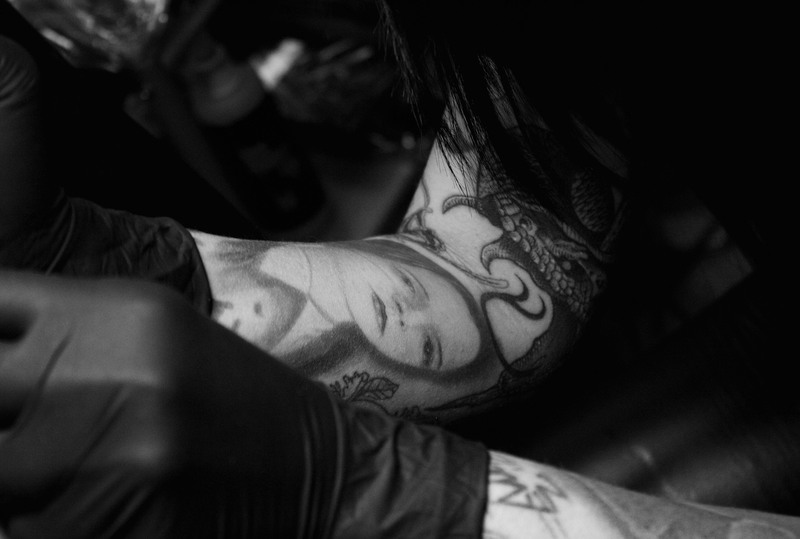 There is a convention center not far from where I live and I saw that there was a tattoo convention so I went to take pictures for my class and ended up being obsessed with the photos I took there. 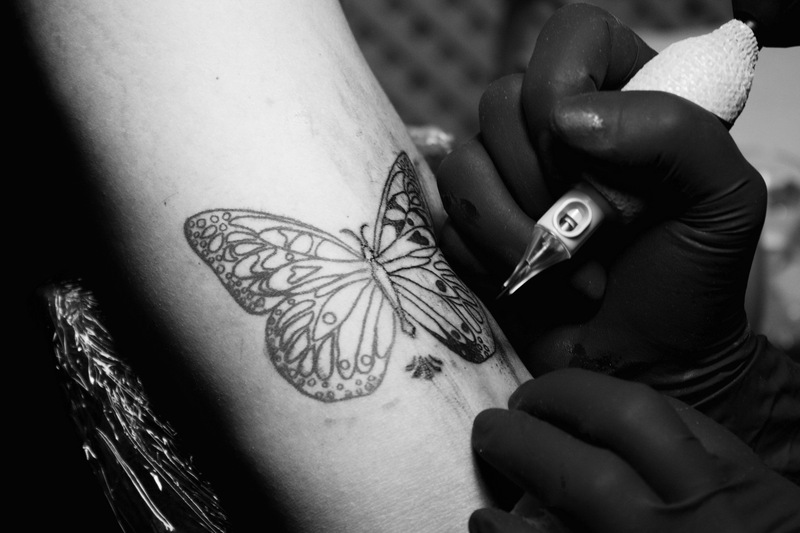 I loved them so much and was so fascinated and intrigued by them that I decided to use these images as the focus of my portfolio. [prague] inspired me to pick up where I left off and continue my photo project from three years before. 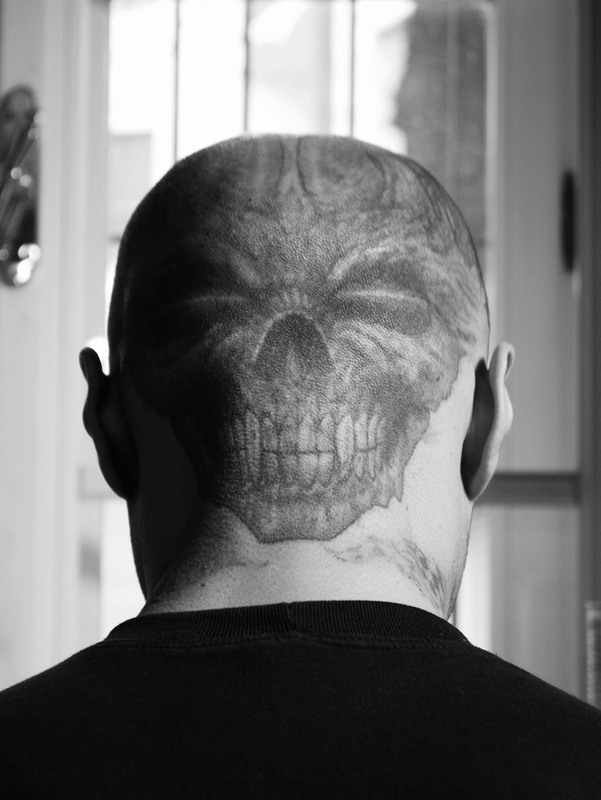 I thought it could be interesting to compare the photographs from the tattoo culture in the United States to the tattoo culture in Prague, and the best way to do this was through photography. 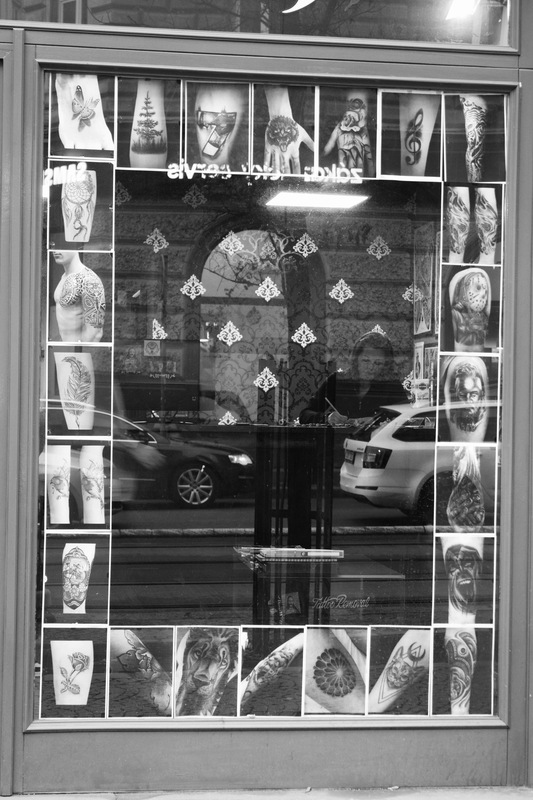 I decided to take all of my pictures at a small tattoo shop across the street from my apartment called Unholy Tattoo in Prague 2. Every Monday morning before class I would go in there because it always seemed to be busy then, and take pictures of both the artists and the customers. 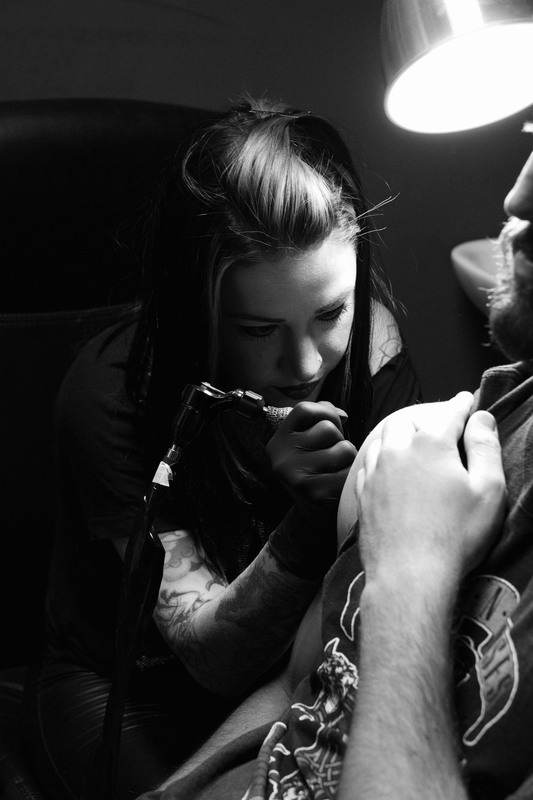 I got to talk to and learn about so many new people from doing this project as well as get some pretty cool photographs. 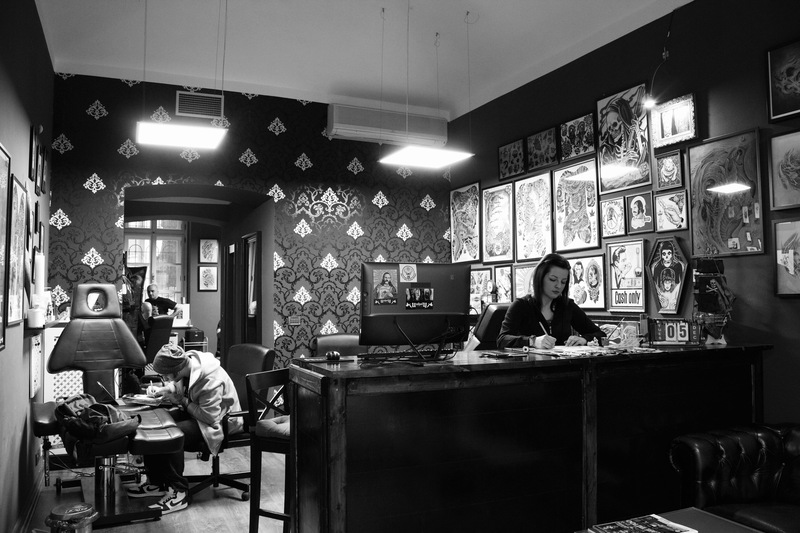 Included in my final selection, I chose shots of the shop from the outside and inside, tattoo artists creating tattoos, portraits, and tattoo details. 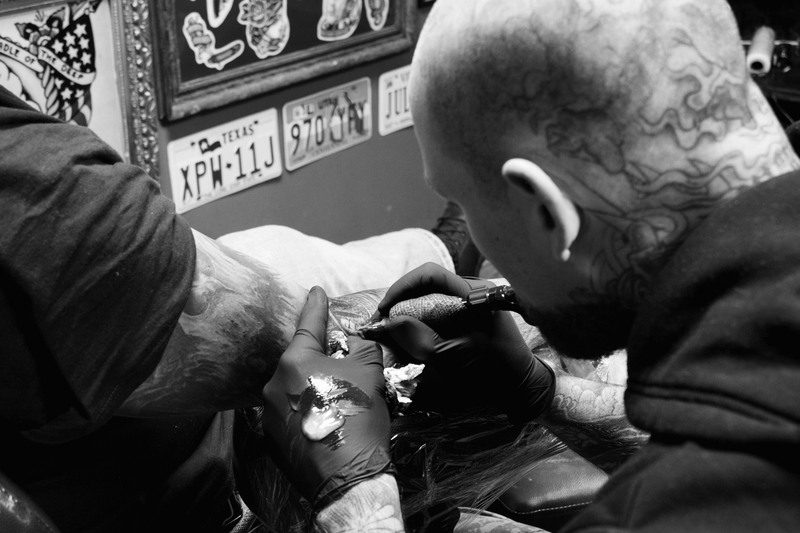 I think that these photos lead the viewer through the experience of getting a tattoo done at Unholy Tattoo and tell a story about the people who work there and the customers. 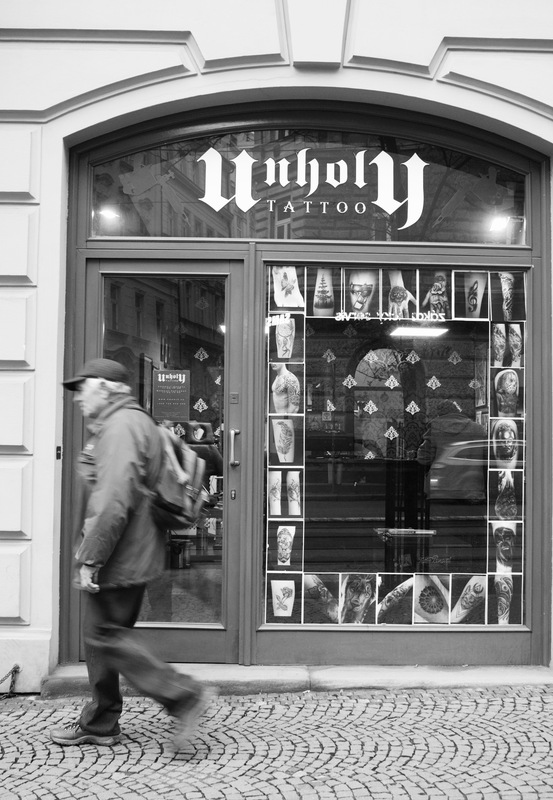 Overall, I was able to continue what I had started years ago as well as learn a lot about documentary photography and the tattoo culture in Prague.